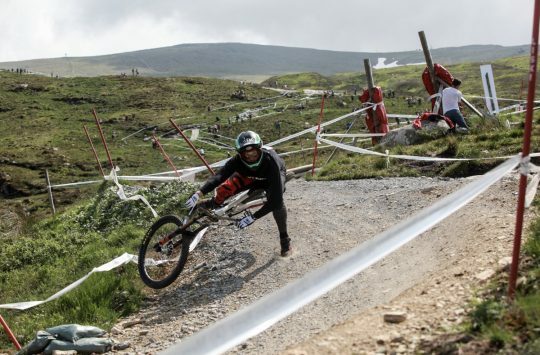 At last year’s Fort William World Cup, the one theme that dominated all of the hubbub both in the pits, and out on the race course was the 29er. Everyone wanted to know what teams were bringing out 29in wheeled race bikes, and which athletes were choosing to run them. While 29er downhill bikes aren’t exactly a dime a dozen now, they’re certainly a lot more common than they were a year ago. 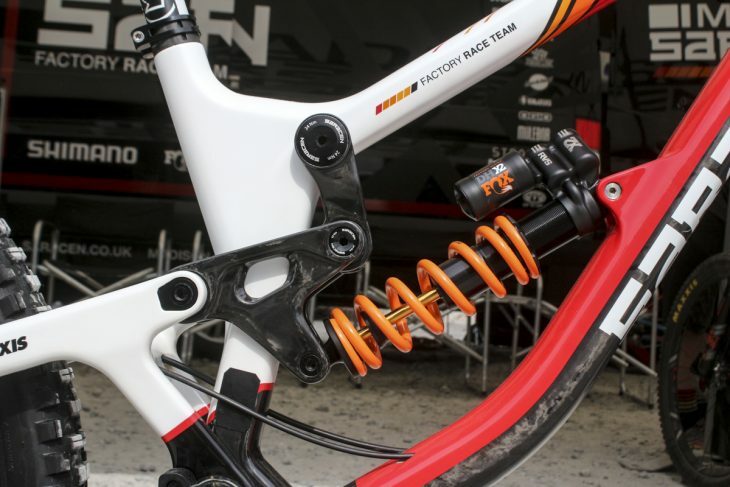 Back then, RockShox was still using a custom-built Boxxer fork that used Lyrik 29er lowers to fit in the bigger wheel, while Fox had only just brought out its 49 RAD fork especially for its sponsored athletes. 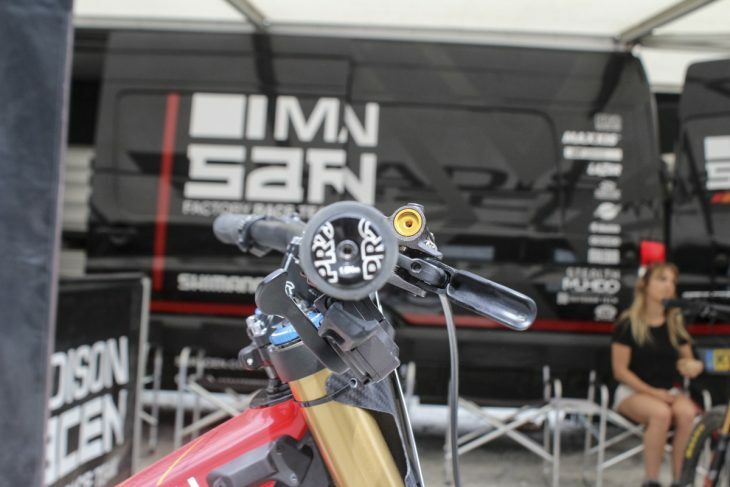 Rim and tyre choice was limited, and many of the frames being raced were simply modified versions of those brands’ existing 27.5in downhill bikes. Fast-forward to 2018 and there’s still plenty of wheelsize chat, but the bikes and components are a helluva lot more refined. 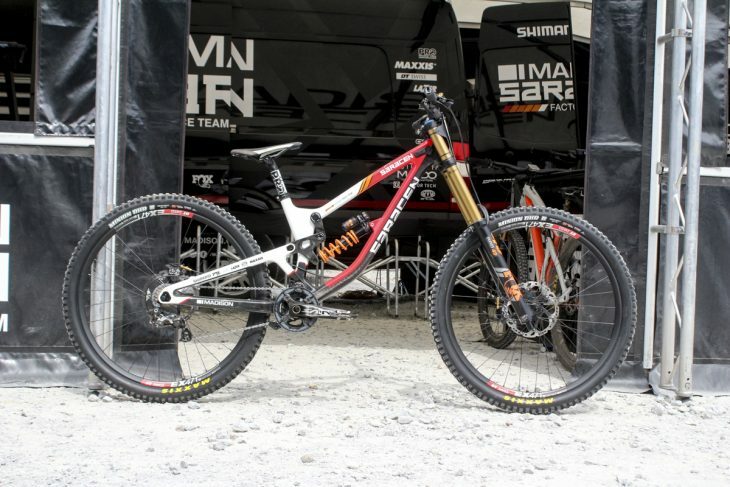 Santa Cruz has a production-ready V10 29er, Intense has the M29, Kona has its new bi-wheelsize carbon Operator, and both Specialized and Pivot have developed dedicated 29er mules using welded alloy frames. 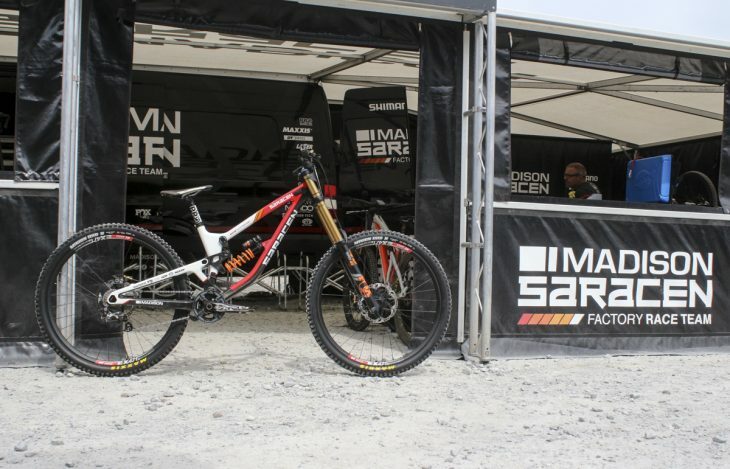 We can’t confirm if Saracen is at the production level with its 29er version of the carbon fibre Myst, but it surely can’t be that far away given what Matt Walker was racing this weekend. Equipped with a full carbon fibre mainframe and rigid one-piece swingarm, the Myst 29er is no hashed-together experiment. The dual-link suspension system is carried over from the current production Myst 27.5, and the overall shape and orientation of the frame tubes is much the same, with a thoroughly refined look from front to back. Walker’s Myst is equipped with a Fox Factory suspension package, including a Fox 49 RAD fork and an X2 coilover rear shock. 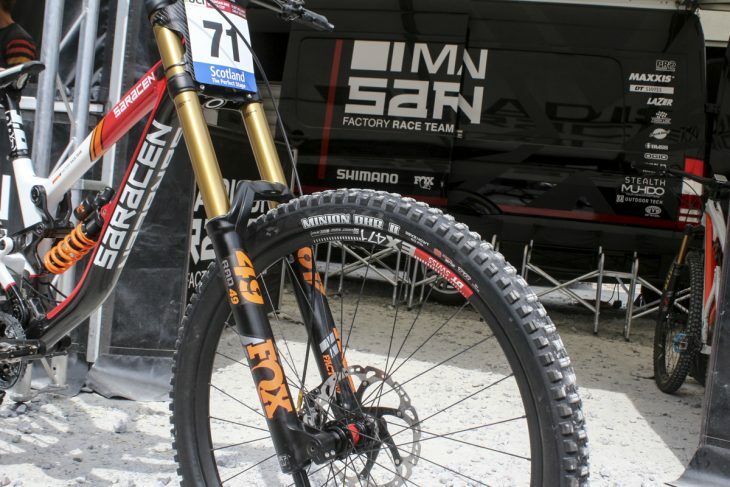 Being on the Madison-Saracen team, Walker’s bike is dressed head-to-toe in Shimano and PRO componentry, along with DT Swiss wheels and Maxxis Minion DHR II tyres. 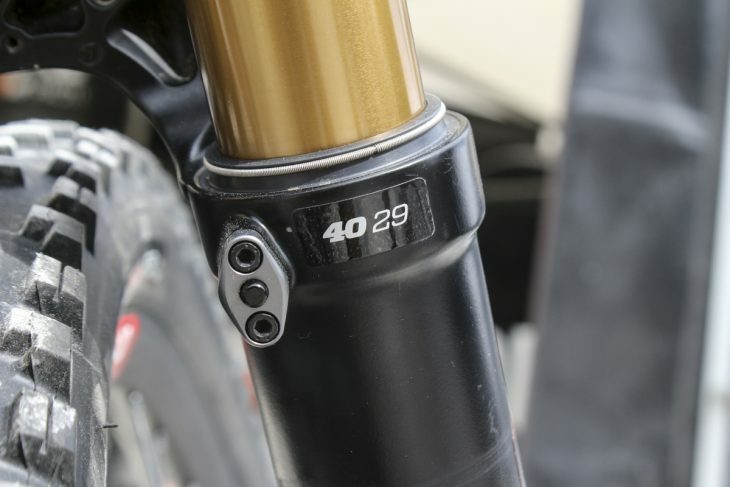 Fox’s big 49 dual-crown fork features Kashima-coated uppers and the latest EVOL air spring inside. Bleed valves on the back of the lowers allows any built-up air pressure to be relieved from underneath the seals. Inside the right fork leg is Fox’s new FIT GRIP2 damper, with independently adjustable high/low speed compression and rebound damping. 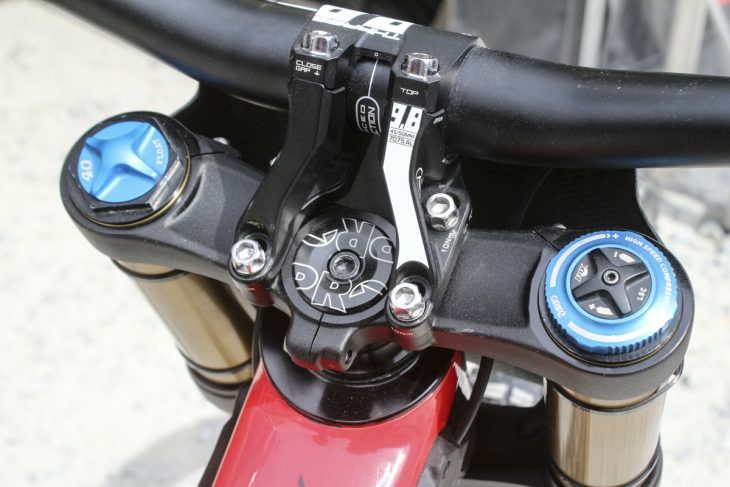 Check out how Walker’s brake lever setup relative to the shifter. 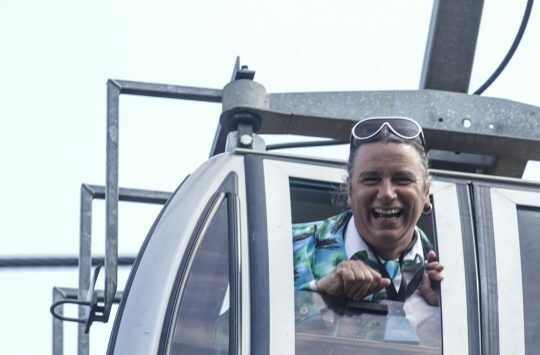 The near-horizontal lever position helps Walker to maintain a straighter and more comfortable line from his shoulders down to his fingers when he’s hanging way off the back of the bike on steep descents. Two carbon fibre links join the swingarm to the back of the rear shock, controlling the rate of compression throughout the travel. No flat pedals here. 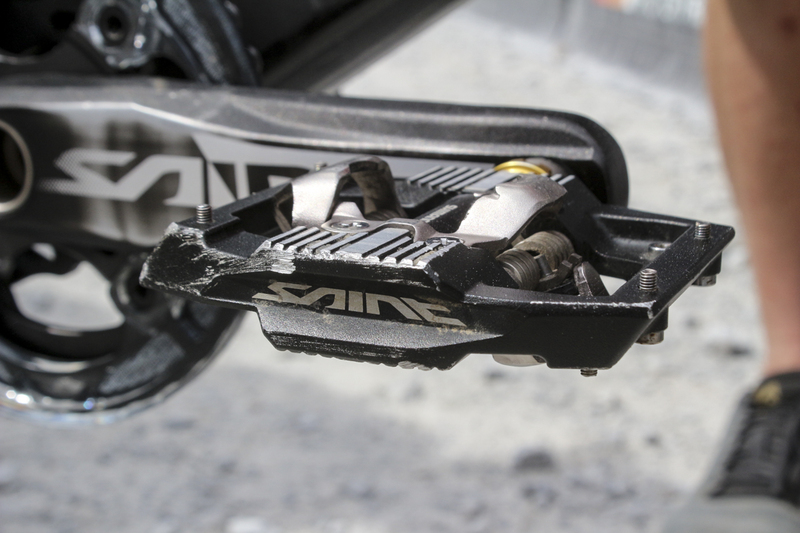 Walker’s rolling with the new Saint SPD clip-in pedals, with the pins set to full height. 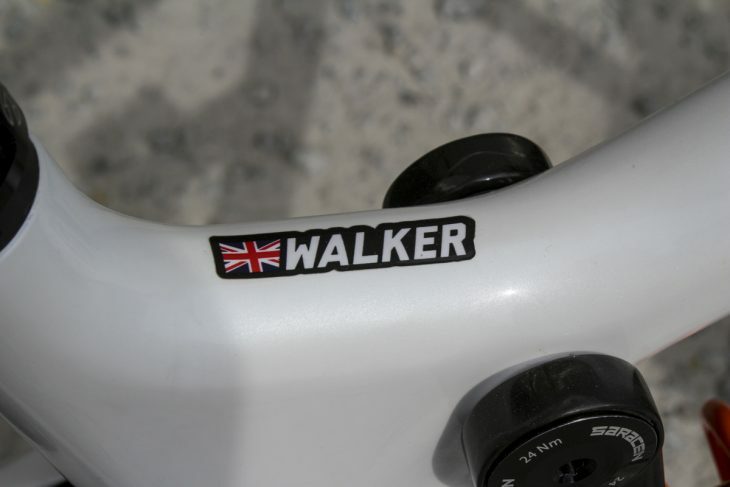 Walker’s bike features a DT Swiss wheelset with 240 hubs and a 10-speed cluster at the back. 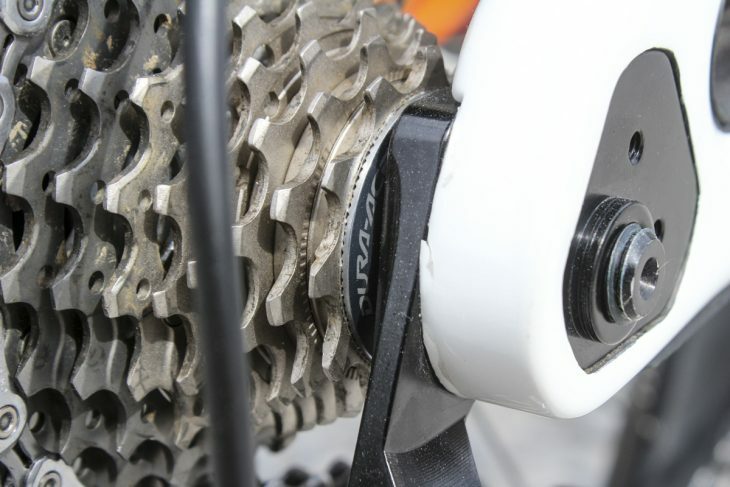 Also of note is Shimano’s direct-mount derailleur hanger and the slotted dropout, which could mean there’s an option for different chainstay lengths. 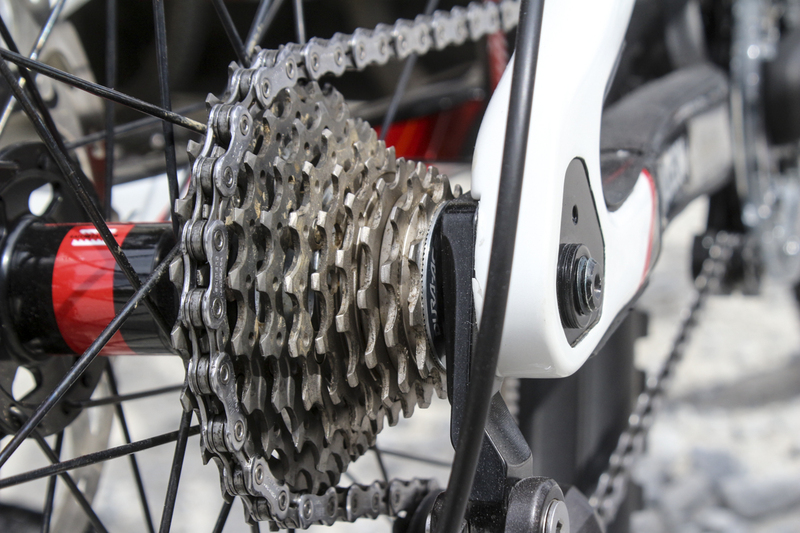 Look closer and you’ll spot the Dura-Ace label. Not only is this cassette lighter, but the ratios are tighter and smoother than a bigger cassette with larger jumps. 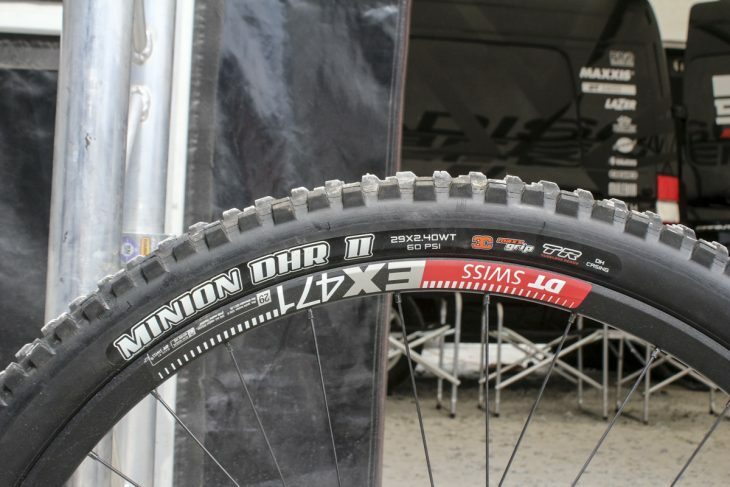 Alloy DT Swiss rims are wrapped with 2.4in Wide Trail Maxxis Minion DHR II tyres. 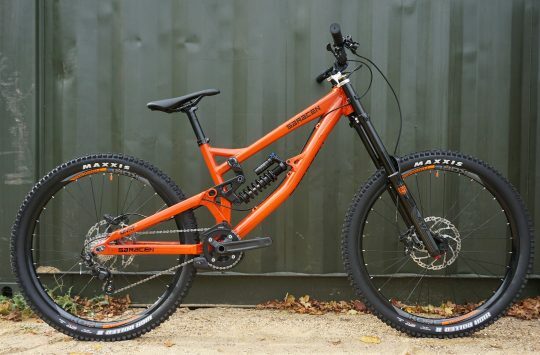 Will we see the Myst 29er available soon? Or is this a World Cup only project for now? When doing bike checks why can’t we have the details . Ha BB length tech stuff instead of a list what branded parts he’s running which we can see from images wills interview with Rachael was the same .most racers run different geo to production so I’d like to find out which riders prefer what to there bikes . Your not alone everyone is at it . Were all adults honest we can handle it .